Mother’s Day (or more traditionally, Mothering Sunday) falls on Sunday 11 March in 2018. So there’s still time to get your thinking caps on to dream up the best of pressies for that wonderful mummy in your life, or in the lives of your teenie weenies. You don’t have to get caught up in the commercialised hype that the shops are luring you into though. Just find something that’ll do the very best at telling your mum how much you love and appreciate her. And if you’re really stumped, we’ve come up with a few ideas to get you through the day without a clip around the ear. Now for those who don’t get to share Mother’s Day with their mummy in person, don’t think you can avoid that ear clipping. 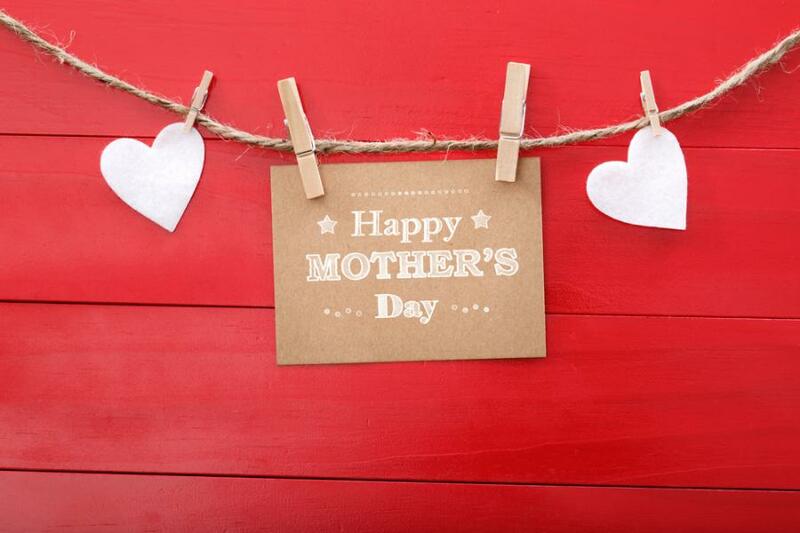 It’s still a day to recognise and celebrate mums. So whether you’re sending something long distance or just having a day remembering that special mum, there’s nothing stopping you partaking in some of these things. Pick the one your mum would love the most and do it in style. Wishful thinking, huh. But come on dads – we’re asking for one night off in a year. Whether the bairn needs a feed or the older one falls out of bed, or the oldest stumbles in late in a state of drunken stupor, give mum the night off. Go on. Now we’ve got more than a handful of cute cottages to whisk your mum off to for an extra special weekend. But if home is where the heart is on Mothering Sunday let mum sleep. And maybe give her an early gift so she can savour the lie in, in style. We love the sleep-come-loungewear feel of Mish’s pyjamas, plus they’re the least mummsy PJs you’ll find. So if your friends happen to be around in the morning, neither your mum nor them will notice anything other than one stylish mummy. We’re talking about a hot mug of tea or coffee. Ask your mum when was the last time she saw the bottom of the mug. The younger the kids, the less likely it happens, unless your mum’s taken to drinking her tea or coffee cold. Now this isn’t an opportunity to buy her a smaller mug (remember what we said about ear clipping earlier). Oh no, it’s an opportunity for you to brew her favourite cuppa and give her time to (sit down) and enjoy every last, hot sip. And if you want to make it even more special the coffee loving mum might like this latte glass by Becky Broome, while the tea loving mum might like this mug by The Letter Loft. Even if they only see the message once a year, they’ll still love you for it. We’ve asked a few of our mummy friends about breakfast in bed. The verdict is that it’s a lovely, well-intentioned thought, but actually the breakfast is usually cold and they’re not keen on the crumb factor. So given that your mum is now stylishly attired for a lazy morning, lure her downstairs with the smell of that coffee and wow her with your cooked breakfast skills. If you daren’t cook for fear of the mess you might make, warn her that you’re going to whisk her out for brunch someplace special, so you can all enjoy a lovely morning out, together. Whichever way you look at it, Mothering Sunday is really about giving your mother a day off from the things she usually does around the house to keep everyone and everything in tow. And spending quality time with her nearest and dearest (without having to clean up after them) is top of her to do list. Now you can book a table at her favourite restaurant for lunch, rather than watch her anxiety rise as you attempt to rustle one up at home in her clean and tidy kitchen. Or, if you’re doing brunch, why not head out somewhere for the day and take a picnic with you (British weather dependent, obviously). We’re thinking your local National Trust or Forestry Commission venue or somewhere like Wellington Country Park where there’s something to keep all ages entertained, somewhere to picnic (or a cafe for dodging rain showers) and even the dog can come. You could also weave a Mother’s Day gift into this idea, by presenting her with a picnic gift like the picnic & pie hampers from Scottish Gourmet Food or a cream tea basket from Devon Heaven Hampers. You’ll benefit from those too! They say gin is a mother’s ruin, but it forms the backbone of motherhood downtime for many hard working mums. And as this deserving slice of the population may not be able to actually make it to a gin festival, the least you can do is plonk a special bottle of the stuff in her Mother’s Day goodie bag. Sadly, a mother’s gin is often poured in haste and glugged in desperation. So, a little bit like that cuppa earlier on the day, give mum the time to pick her favourite tipple and enjoy every last sip. For the gin drinking mother, we recently discovered the artisan producers of Butler’s Gin. It looks (and it is) handcrafted, and tastes just a little bit special with a genius cardamom infusion. Now, beware of this next one if your mother doesn’t do pink. You might need to preempt her unwrapping a bottle of Pinkster, but it’s so lovingly made, so ‘agreeably British’, and oozing with raspberries that the gin connoisseur has to have it. Then for the adventurous mummy we think Caorunn is the way to go. Although it looks more like a vodka than a gin, its rugged, small batch, Scottish origins will have your mum torn somewhere between the Scottish Highlands and what they refer to as ‘urban sophistication’. Whether you’ve spoilt your mum rotten with some or all of the above delights, or rocked up just in time for dinner, allow her some luxurious downtime that is a long soak in the bath (not in all of the gin you may have awarded her earlier). Now we’re complete suckers for the packaging as much as the ingredient combinations of Quintessentially English and their luxurious bath milks will allow your mum to make like Cleopatra and put herself first for a moment. She’ll surface ready for a quiet night in with a movie of her choosing. Indulge her. She’s back on duty again tomorrow. So Happy Mother’s Day to all the mummies out there. It ain’t always a bed of roses being a mum, but what an amazing, challenging, joyous and life changing job us mums have been given. And what angels those kiddiewinks are. Aren’t they!